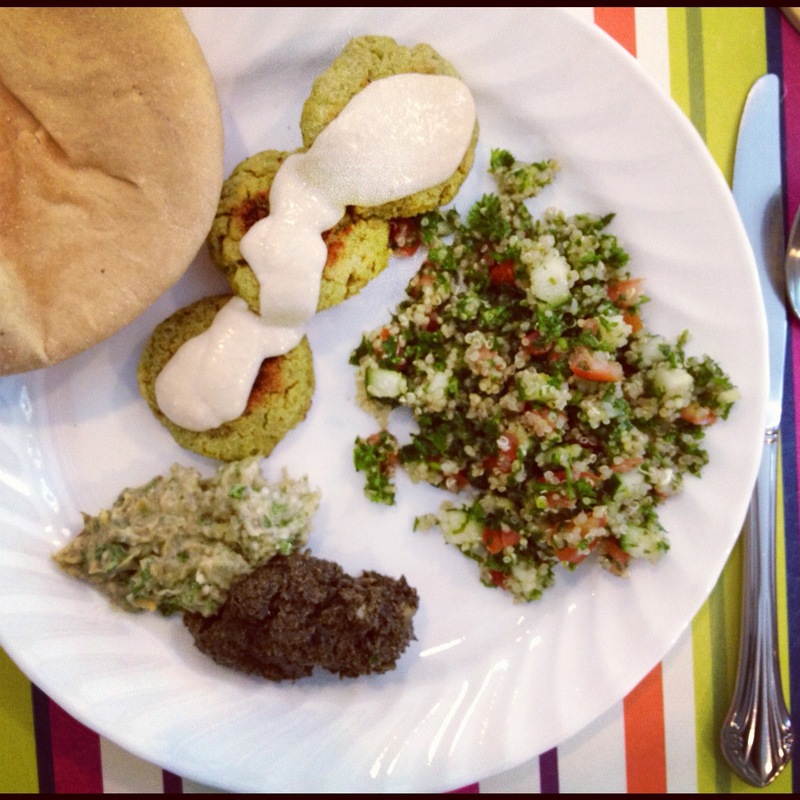 Homemade whole wheat pita, baked falafels with tahini sauce, quinoa tabbouleh, olive tapenade, melitzanosolata (smoky eggplant salad). 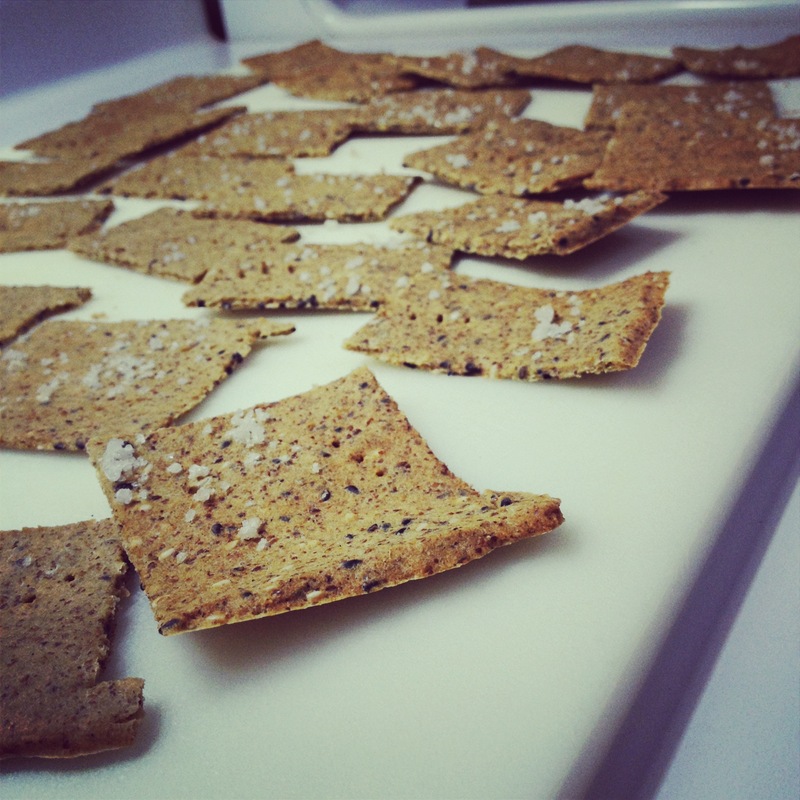 Homemade gluten free crackers which pretty much stole the show – served with the tapenade and melitzanosolata. This will be on the Snacks and Stuff menu. 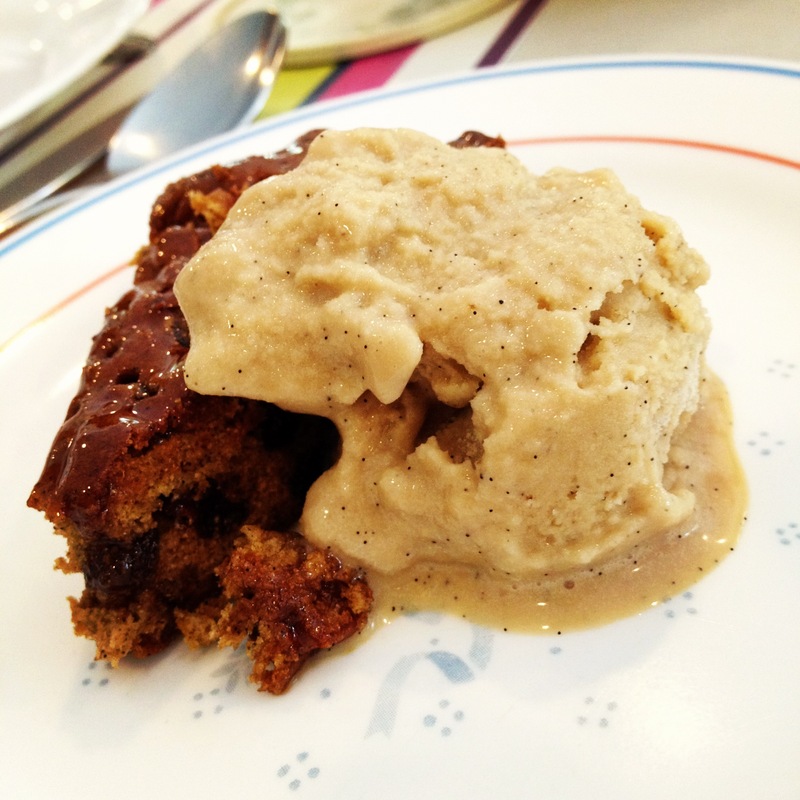 Gluten-free currant cake with vanilla bean ice cream – low glycemic, made with coconut sugar). Ice cream started to melt hence the not-the-best photo. 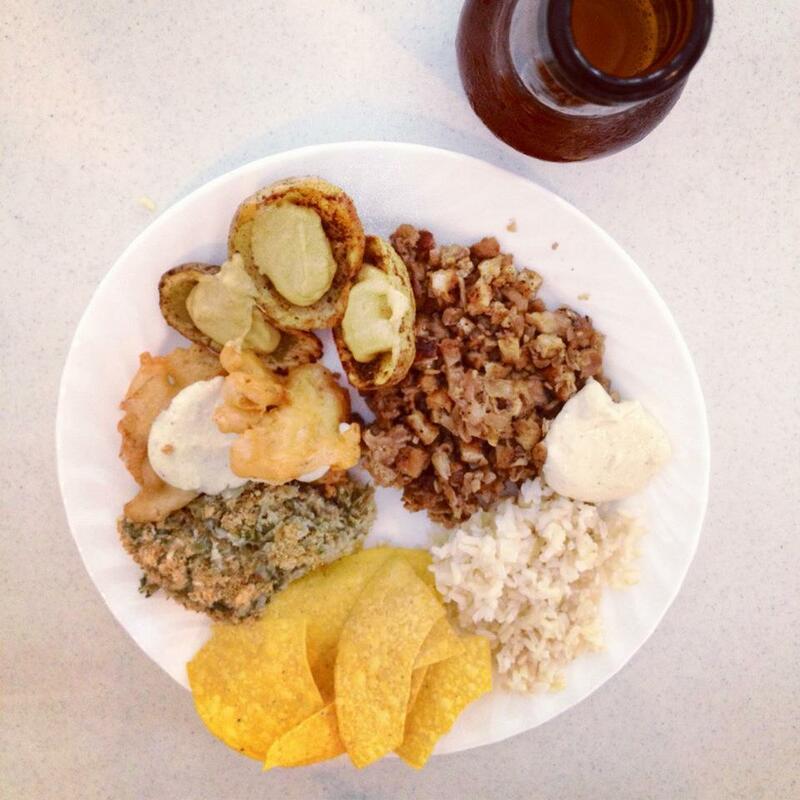 Cheesy potato boats, mushroom sisig with vegan mayo & brown rice, spinach and artichoke dip with nachos, beer battered oyster mushrooms with tartar sauce. Organic beer- always much deserved after 3 hours of cooking! 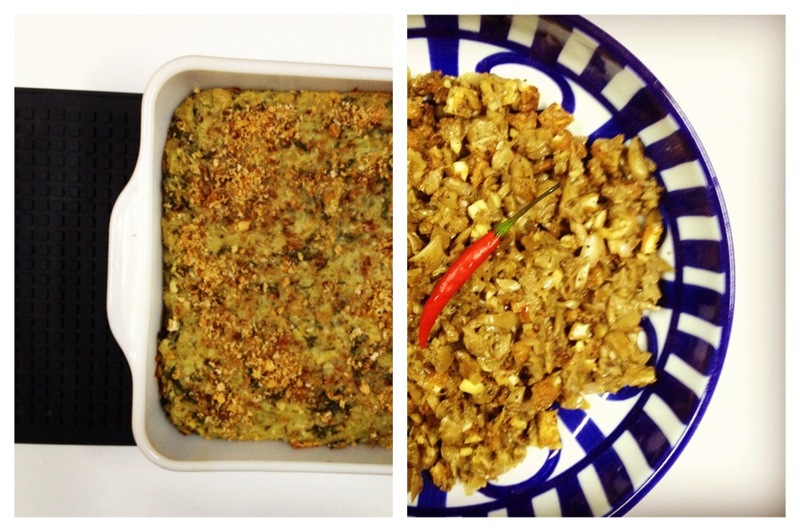 A closer look at the spinach and artichoke dip, and the mushroom sisig. 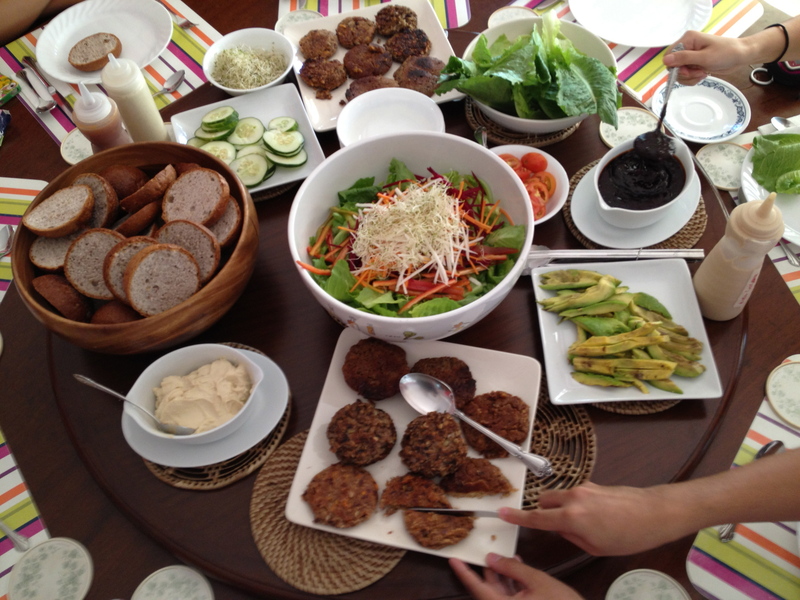 I always look forward to teaching because I (a) meet amazing people and (b) eat an amazing vegan meal. 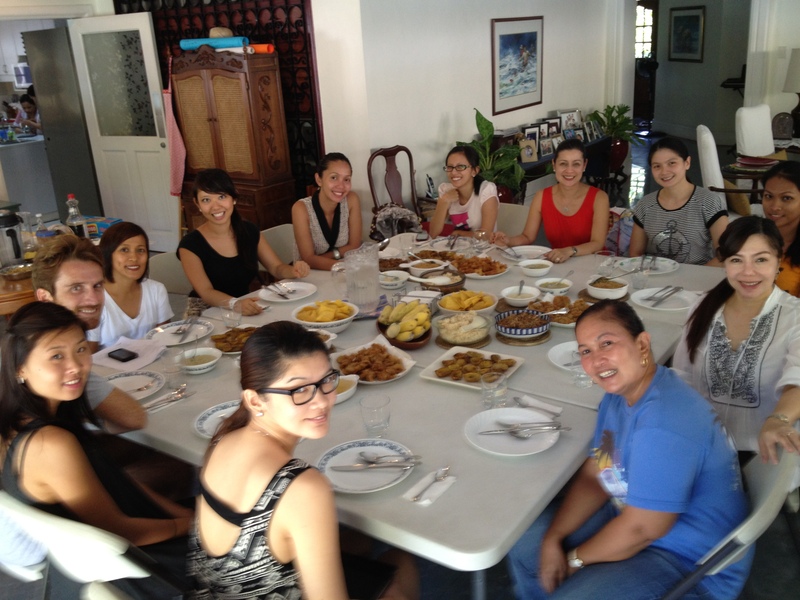 This un-cooking class rocked the living foods front. 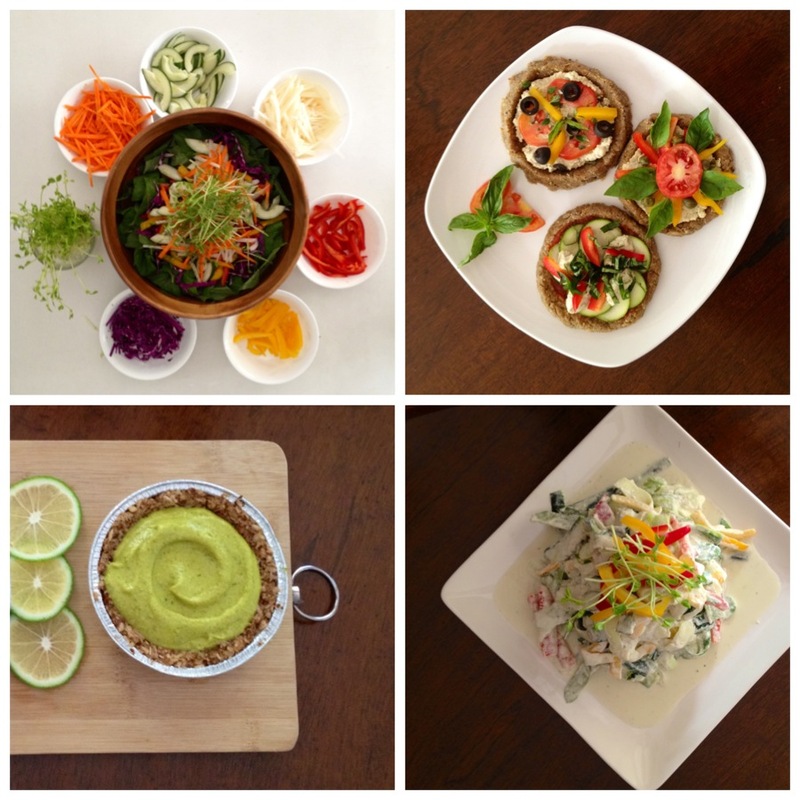 Our creations, clockwise from top left: rainbow spinach salad with almond ranch dressing, sunflower seed baby pizzas with cashew cheese, zucchini noodles with lemon thyme sauce and peppers, coconut key lime pie. Not pictured: zucchini noodles with marinara sauce. All raw, all good. 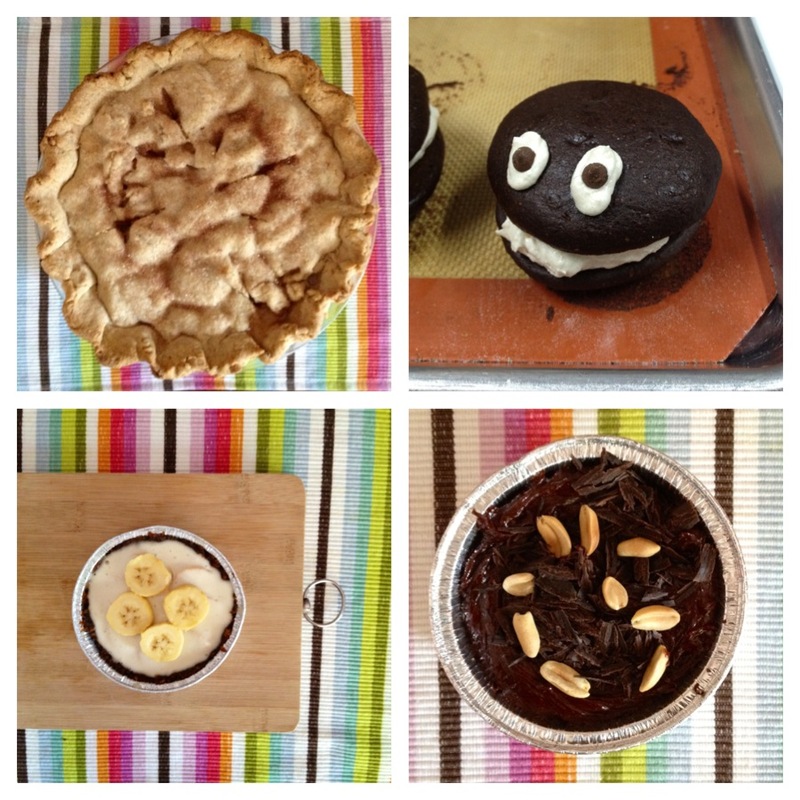 Pie class = fun class. 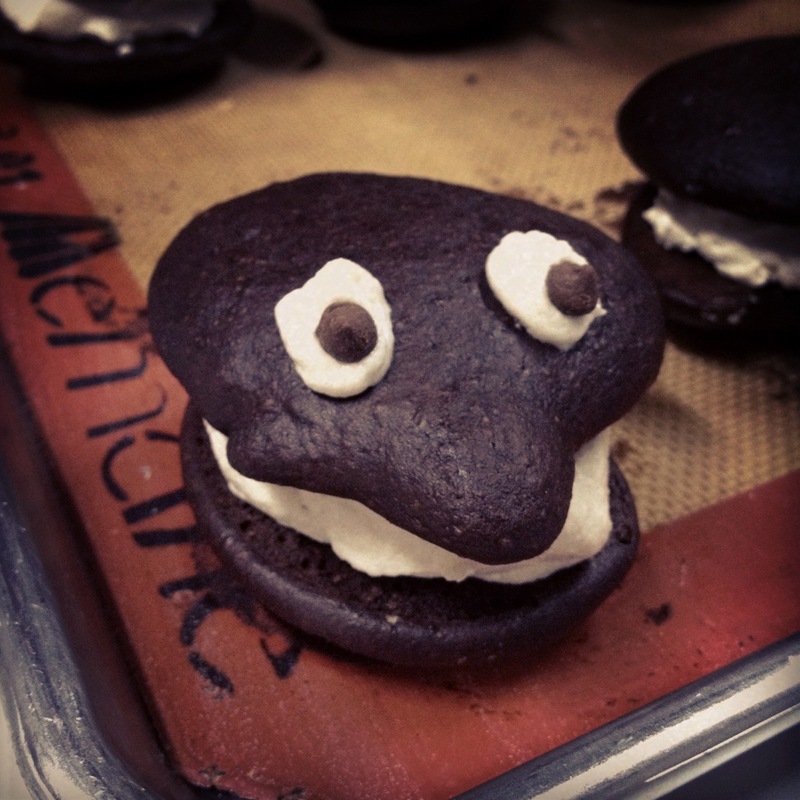 Apple pie, whoopie pies, peanut butter silk pie, and banana cream pie made the day. 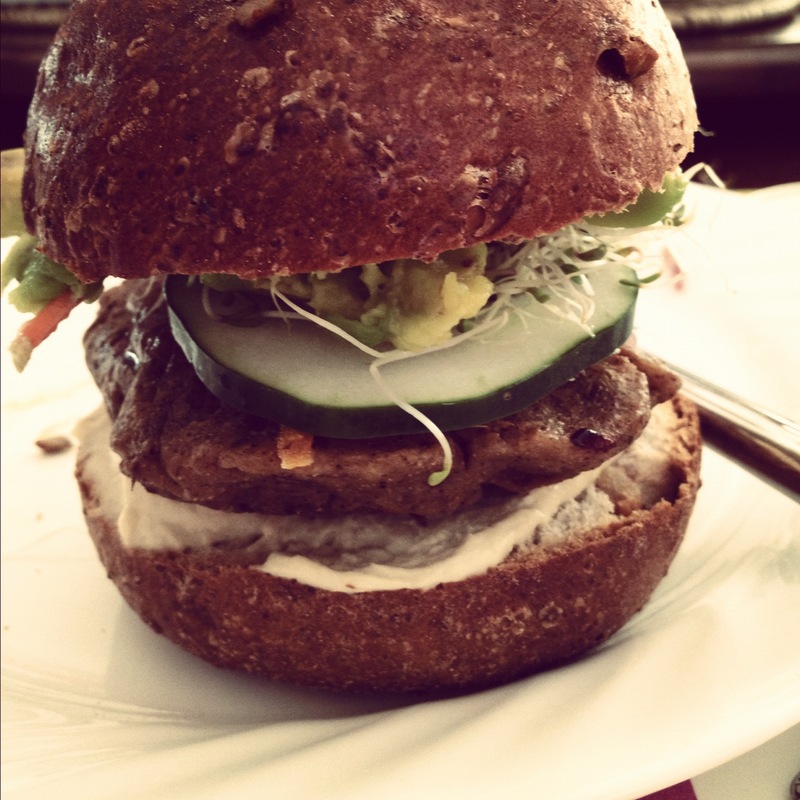 Say hello to my little (vegan) friend. 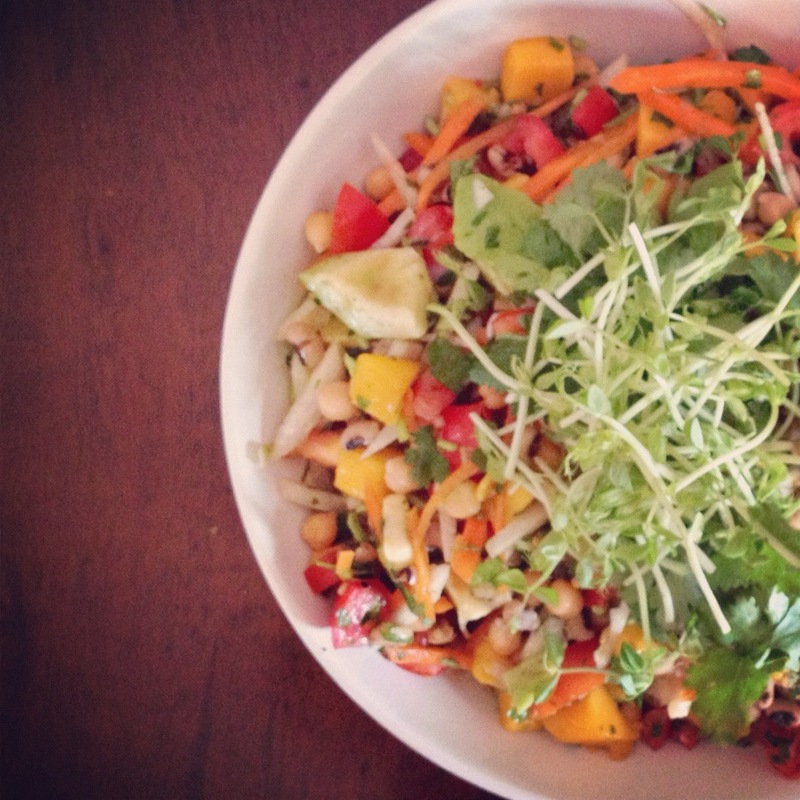 Our lunch after a few hours of pie-making: black eyed pea and chickpea salad with avocado, mango, and sprouts. It’s been a gas teaching. I can’t wait for July.